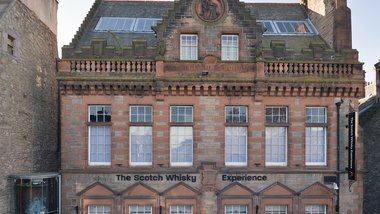 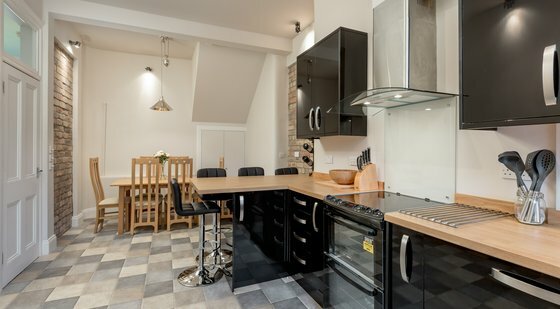 A fabulous, fully equipped city centre apartment close to Edinburgh University, the business district and all the main tourist attractions, with an office/study and WiFi throughout. 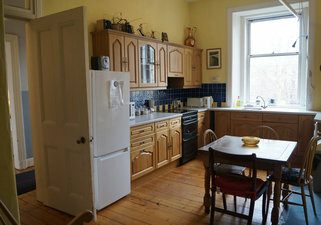 The fully fitted kitchen gets the morning sunshine and has a homely atmosphere all year round. The dining area includes an oak table with extendable leaves, a bookshelf and wine rack and two wooden rocking chairs. 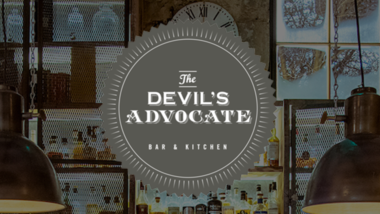 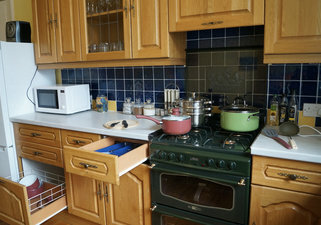 There are ample cupboards, along with a walk-in stock cupboard at the back of the kitchen. Features include a radio/CD player, tall larder fridge, freezer, gas cooker (hobs), electric fan oven and grill, microwave, washing machine, iron and ironing board, and a ceiling clothes pulley for drying washing if required. The combi boiler is neatly placed inside a fitted cupboard and provides instant hot water automatically, while in winter, central heating can be on timer. 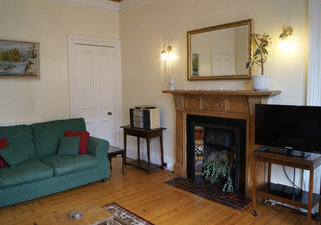 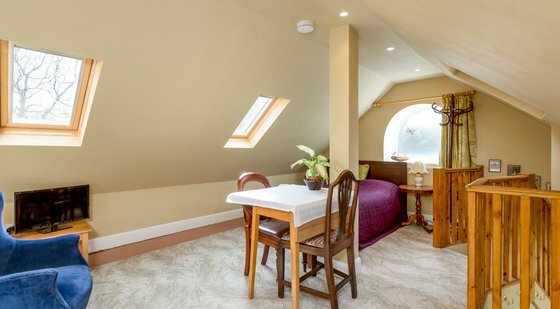 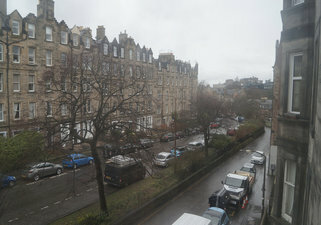 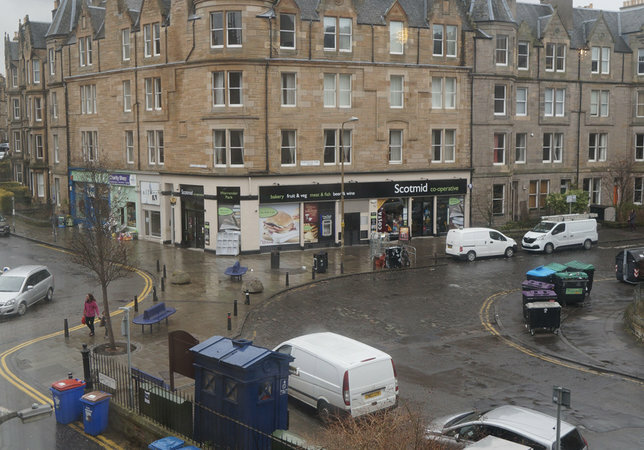 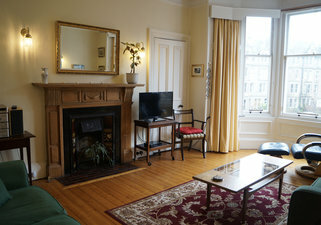 The front bedroom overlooks Roseneath Place and Marchmont Crescent, and the bank of trees separating the two streets. 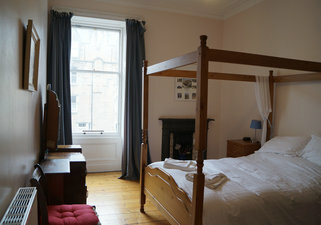 The four poster double bed has a luxuriously comfortable 10 inch (25cm) deep pocket sprung mattress and a king size duck feather and down duvet. A wardrobe, chest of drawers and dressing table provide plenty of space for your personal belongings. 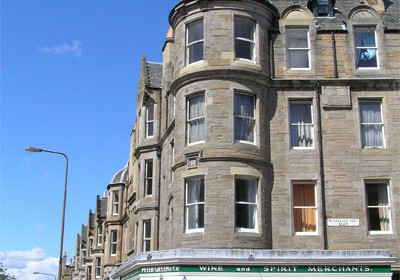 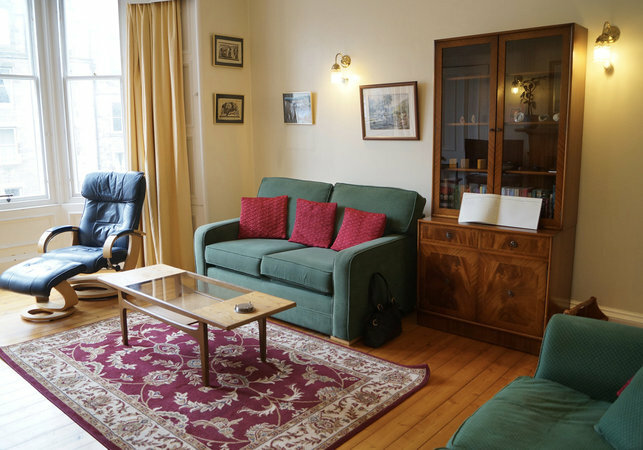 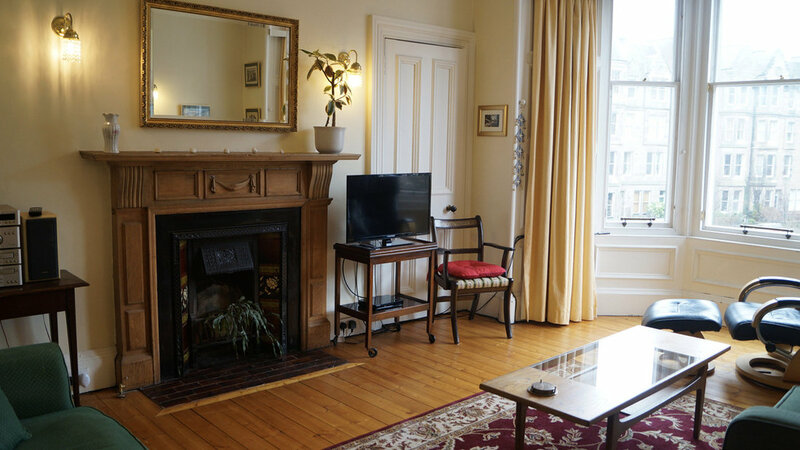 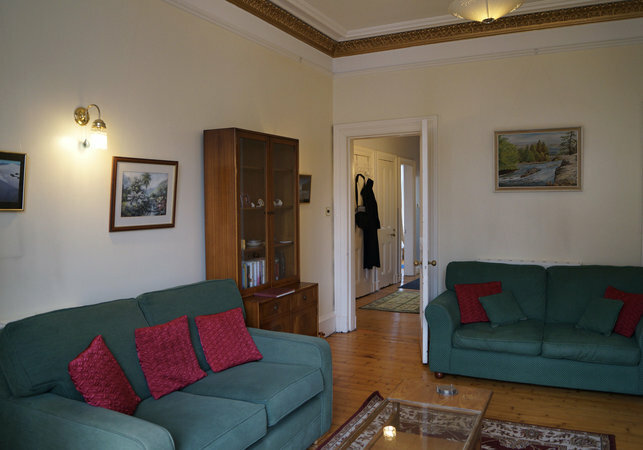 The study opens off both the living room and central hallway and is furnished with a large black desk, supportive "office" chair and shelves, making Roseneath Apartment ideally suited to anyone visiting Edinburgh for work. 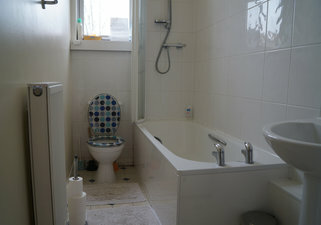 The bright, newly refurbished bathroom includes a white suite, including a shower over the bath. 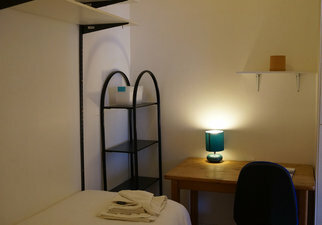 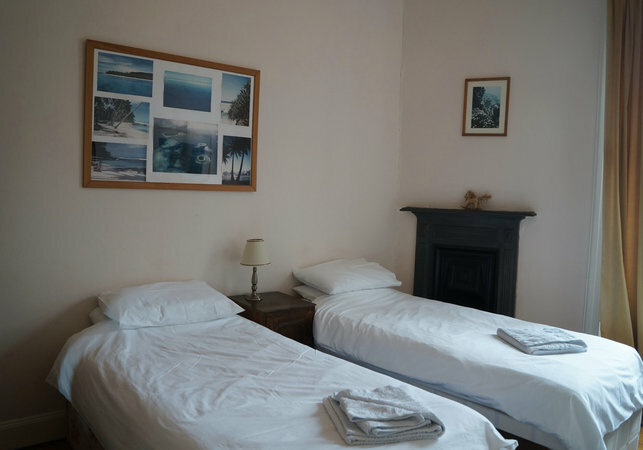 The apartment can sleep four people, in the double bed in the front bedroom and the two single beds in the back bedroom. 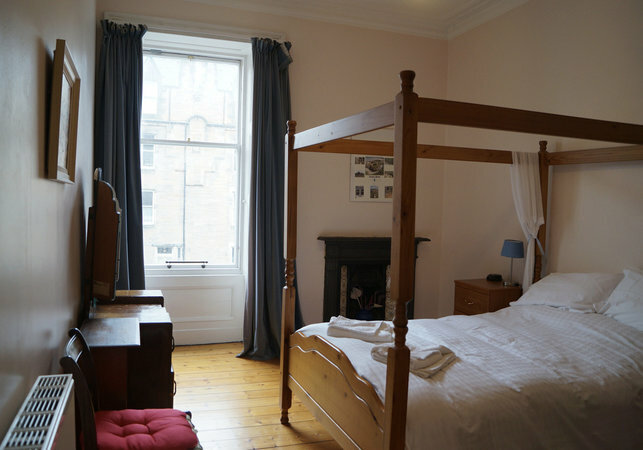 A single bed in the study can increase capacity to 5 guests for short lets (less than three weeks). 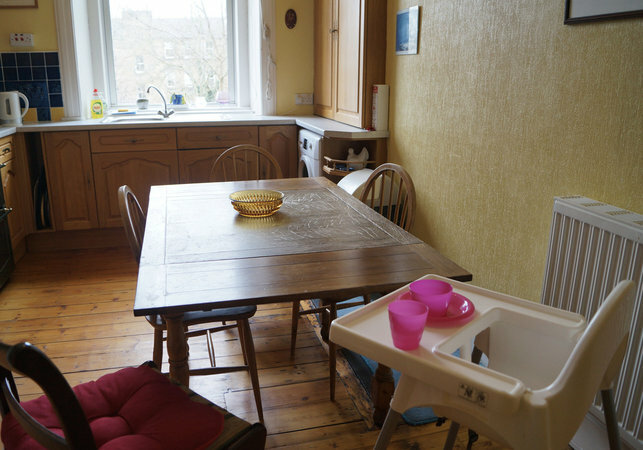 A travel cot and high chair is also available on request for babies/toddlers. 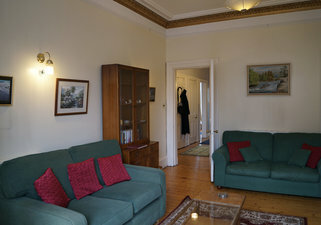 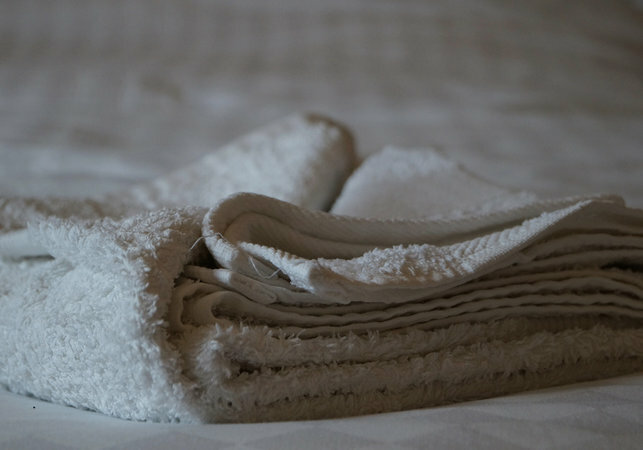 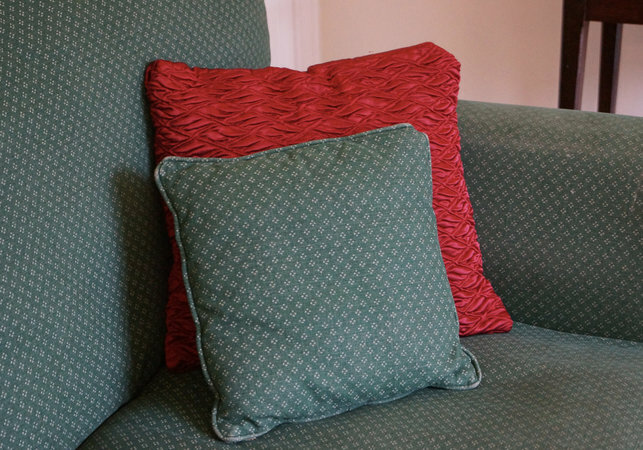 The apartment is suitable for up to 5 guests for short lets up to 3 weeks, however for longer lets then the maximum is 3 individual guests (or 4 for families). 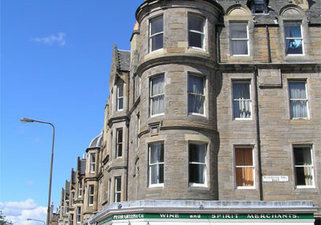 Airlink Buses run frequently between the airport and the city centre. 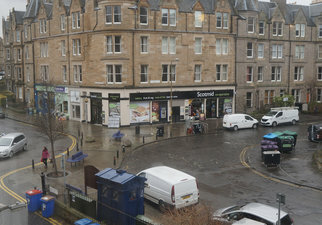 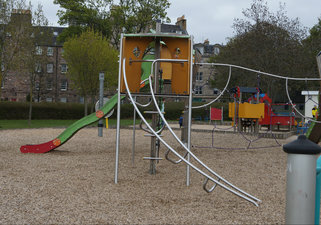 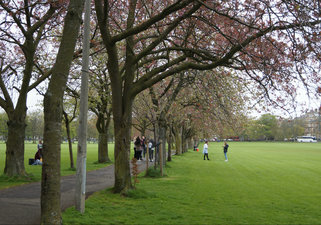 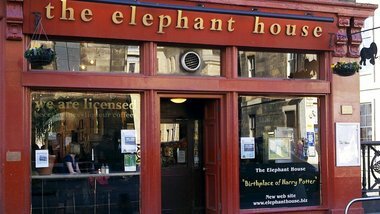 You can get bus number 41 to Marchmont (walk up the hill along Market Street to the Mound after getting off the airport bus at the terminal at Waverley Station) or a taxi (costs between £5 and £10 depending on time of day). The tram also travels to Princes Street where you can get a taxi or the number 41 bus to Marchmont.